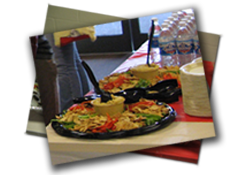 Butch’s can cater and deliver an event exactly to your needs, whether a lunch meeting for eight or a party of 175 (our largest to date) our full menu is available. We offer wrap and sandwich platters for variety, as well as large party subs. Salads, pastas and sides are prepared per your request. Please contact the store at (812) 822-0210 or via e-mail for more information.